Ludic Rooms planned an exciting, bespoke opportunity for young people during the first week of the summer holidays at Shireland Collegiate Academy. 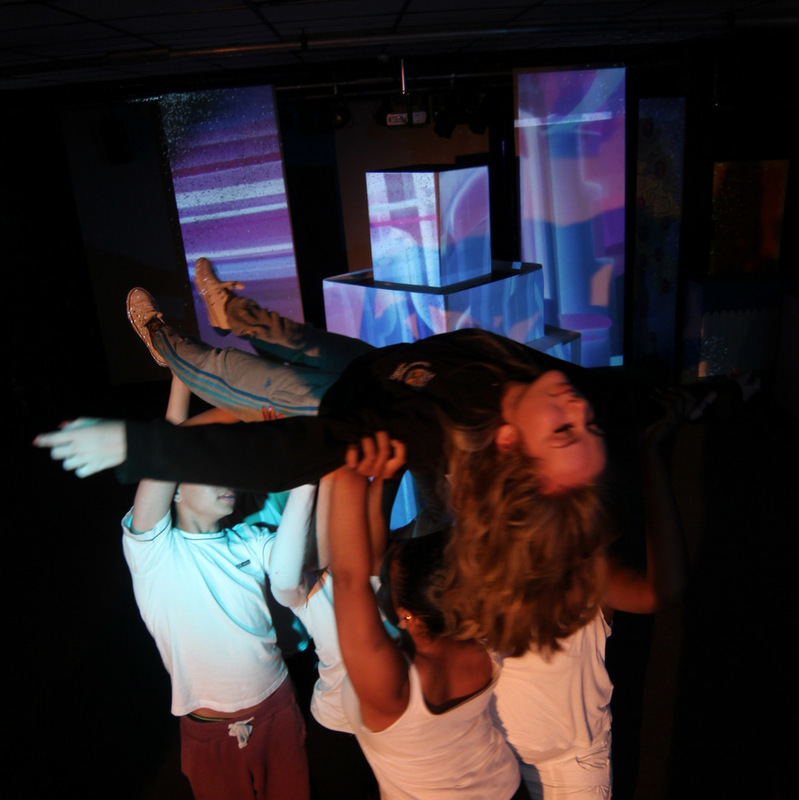 By teaming professional artists with young people from the Academy, the school was transformed into an interactive digital playspace of movement, projection and sound. All of the children spent part of each day working together to explore how games are created, adopting a different game dynamic each day; these ‘learning lenses’ frame the activity within a playful context. We also played games, many of these games will involve technology; projector Nintendo Wii, GPS treasure hunts, Infra-red wink murder. During the course of the week, the young people used tablets and laptops alongside hacked and repurposed games hardware; Wiimotes and balance boards, joysticks and Kinect depth-sensing cameras. The aim is to encourage young people to act as creators of digital content, not just as consumers.